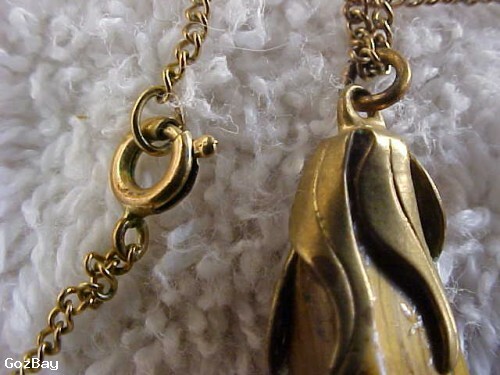 Pretty Vintage/old necklace goldtone chain. 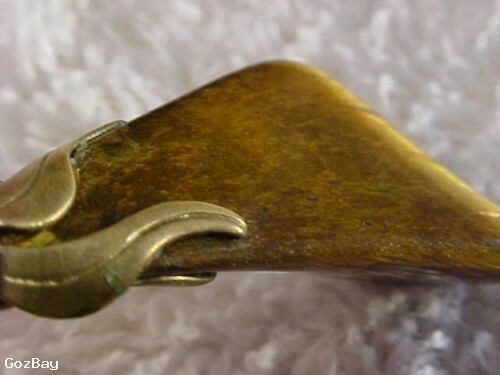 The pendant has old brass cap molded and glued to stone. Very unusual size and shaped stone. Not sure what type of stone this is, looks kinda like cat eye. This necklace seems pretty old to me.